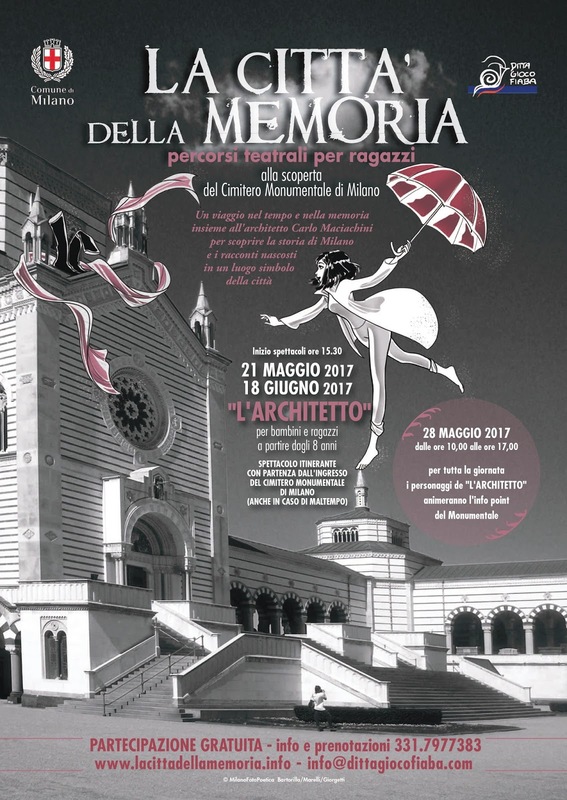 The Municipal Administration of Milan, in order to enhance and promote the Monumental Cemetery, has planned ‘’La città della memoria’’. 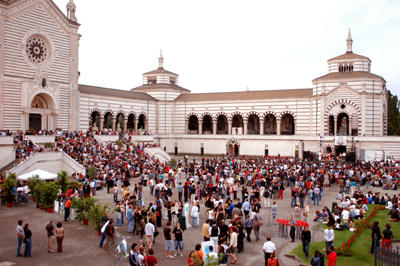 ‘’La città della memoria’’ (‘’The city of Memory’’), a project for promoting and enhancing the Monumental Cemetery of Milan with theatralized guided tours dedicated to children of the second cycle of Primary Schools (8-11 years old) and Secondary Primary Schools (11-13 years old). The initiative also provides opportunities to participate for families that will be carried out on the weekend. 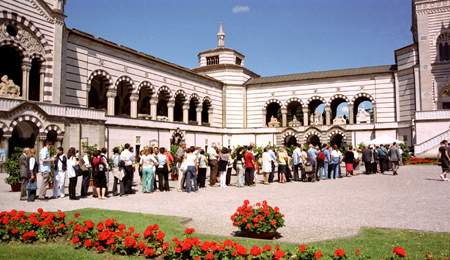 The main objective of the proposal is the reading of cemetery spaces, as a place of memory; Removing content from the aspects related to "death" and "sadness", both for respecting the young age of the audience, and for passing down to the new generations the idea of ​​this space as an opportunity to know the history of Milan through its most illustrious citizens, and so as a living and vital place capable of teaching and interacting with today's world in an active and non-fruitless way. The initiative uses the theater and the acting as an instrument to create a tour in which kids will be actively involved and they will make the acquired notions a part of their own knowledge, while creating a connection with the history and glory of our city. On Sunday, May 21st and Sunday, June 18th , 2017, ‘’L’architetto’’ (‘’The architect’’), for children and kids from the age of 8, the show starts at 3:30 pm, to the discovery of the Monumental Cemetery, a time travel led by Mnemosyne and the architect Carlo Maciachini to learn the history of Milan and the hidden stories in a emblematic place of the city. On Sunday, May 28th, 2017, from 10:00 am to 5:00 pm the characters of ‘’L’architetto’’ will entertain the visitors at the info-point of Monumental Cemetery of Milan. The participation is free. Reservation required.